Dear men, I'm here to help you today. You want the same thing your wife wants, a fantastic marriage BUT you are going to have to WORK for it. Let's start by making sure your wife is crazy about YOU, other things will fall into place after that. 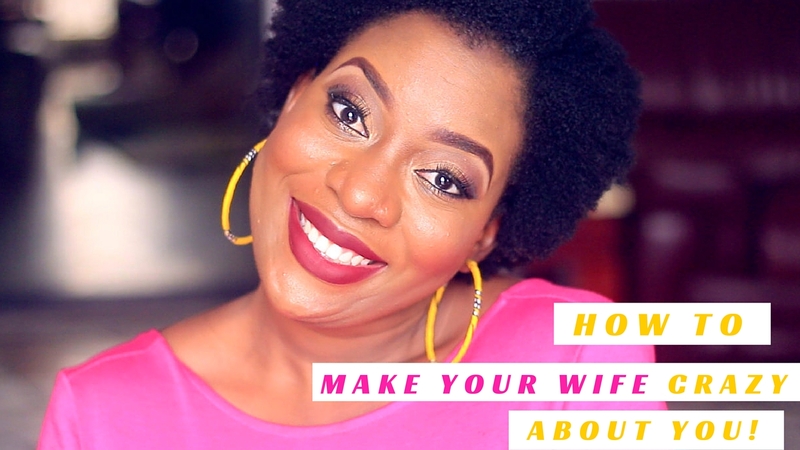 I'm going to give you a few tips that will make your madam fall in love with you over and over and over again! Ps. Madam, show this to Oga! On point, Sisi! We enjoy the little things oo. When a man does many nice little things to his wife in a day, he won't sweat to make 'that place' wet. Her heart will be panting for him, gidiba gidiba! I am really glad you brought this up...Do you know that many Nigerian Men Don't believe in that? They believe that if you help your wife in the kitchen or you help wash the dishes, that the wife has control over you and she will turn you to Mumu....But i am glad you brought this up and i hope it helps many marriages. Happy New Week My Sisi of LIFE. God bless you Sisi. Love this Vlog. Keep it coming. Nice one Sisi of life! Happy New Year too!